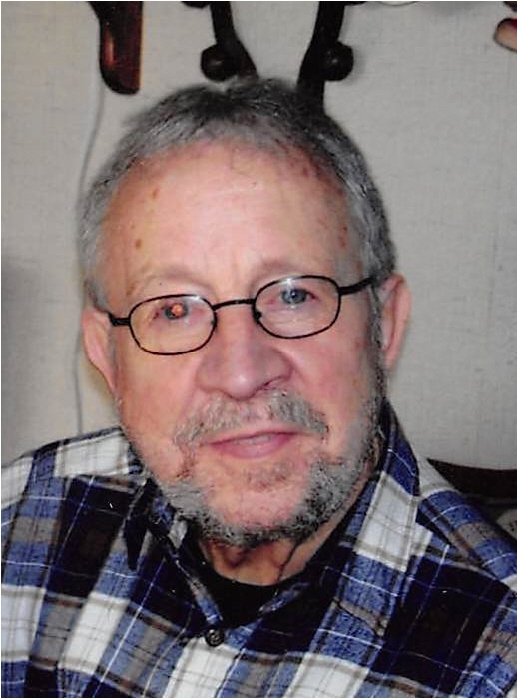 James M. Feustel, Sr., age 75, passed away suddenly after a long battle with Parkinson’s Disease on Sunday, February 10, 2019 at Galion Community Hospital. Jim was born in New Albany, to the late William J. and Evelyn G. (Cosner) Feustel. He married Evelyn (Robertson) Feustel on November 4, 1962 and she survives him. Jim retired from PPG Industries Works #26 in Crestline in 2005 after 43 years of service. For Jim, family was always first. Jim was a master craftsman who enjoyed woodworking; making beautiful clocks and furniture. He enjoyed riding motorcycles and Cushman Scooters. A movie buff, Jim could watch the same film over and over and still enjoy the movie. A sports fan, Jim especially enjoyed NASCAR, the Buckeyes and the Browns. He was a master at tinkering and could fix anything. He was famous for saying "never pass up a free meal" and you couldn't go anywhere with him that he wouldn't know at least two people. In addition to his wife, Evelyn, he is survived by his three children, Marlene (Steve) Vance of Elizabethton, TN, James M. (Barbara) Feustel of Mansfield, and Rebecca (Bill) Willis of Galion; three grandchildren, Philip (Stephanie Clough) Shipman, Sarah (Jessy Walker) Shipman, and Cass Vance; five great-grandchildren, Jasmine, Grant, Aurora, Merida Clough, and Mya Jo Walker; six siblings, Barbara (Jim) Rush of Marion, William (Patti) Feustel of Edison, Harold (Victoria) Feustel of Marion, Adele Bader of Edison, Grace Bricker of Wylie, TX, and Charles (Kitty) Feustel of Ft. Worth, TX; and numerous nieces, nephews, and friends. In addition to his parents, he was preceded in death by his son-in-law, Scott Shipman. Friends may call from 5 PM to 8 PM on Wednesday, February 13, 2019 at the Schneider-Gompf Funeral Home, 303 Portland Way N., Galion. Funeral services will be held at 2:30 PM on Thursday, February 14, 2019 with Steve Ashwell officiating. Burial will follow in Ebeneezer Cemetery, Galion. In lieu of flowers, memorial contributions may be made to the Michael J. Fox Foundation for Parkinson’s research in care of the funeral home. The Schneider-Gompf Funeral Home is honored to serve the family of James M. Feustel Sr.